With one in three women and one in two men expected to receive a cancer diagnosis at some point in their life, it’s likely that every one of us personally knows someone who could benefit from having a copy of Cancer—Now What? 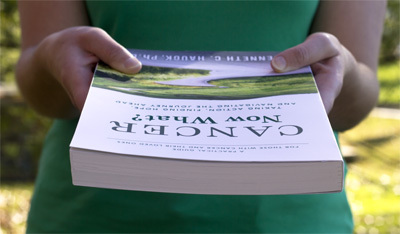 Who is giving the book to people with cancer and their loved ones? Individuals are giving it to friends, relatives, neighbors, and coworkers. Pastors and churches are giving it to people in their congregations and communities. Physicians, nurses, mental health professionals, and others involved in healthcare are giving it to patients and families. Businesspeople are giving it to customers, colleagues, and clients. Educational institutions, social service agencies, and community organizations are giving it to the people they serve and support. Quantity Pricing for Cancer—Now What? Cancer—Now What? is discounted based on the number of copies ordered. The Cancer—Now What? 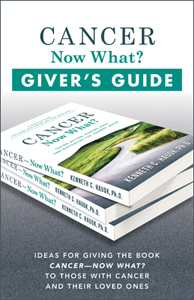 Giver’s Guide provides suggestions for giving the book to those diagnosed with cancer and their loved ones. 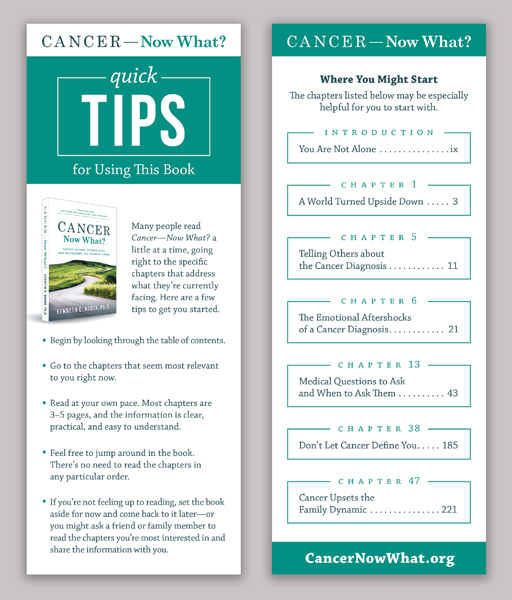 The Quick Tips card, which is included with each copy of Cancer—Now What? and offers suggestions for using the book, can also help people talk about the book as they give it to those dealing with cancer.